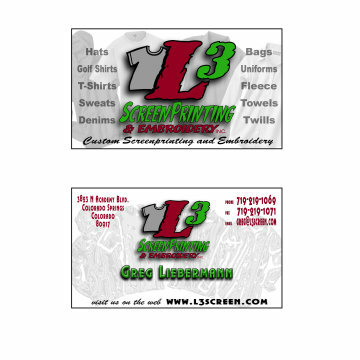 Why run all over town to get your garment work at one place and your paper printing such as business cards at another? We can take care of all of your printing needs. Not all in house but we have outlets to get fantastic pricing. Business cards, brouchures, envelopes, letter head, stickers, postcards and almost anything else you can need are available.